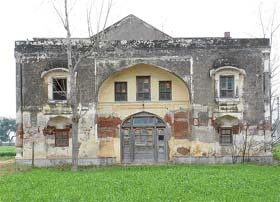 Preet Nagar, the “locality of love and friendship”, which used to be the hub of renowned Punjabi, Hindi and Urdu writers, artistes during the pre-Partition days has fallen on bad days. Even as the martyrdom of the great Sikh warrior, General Sham Singh Atariwala, falls on February 10, the government and the SGPC continue to dither over the installment of a life-size statue of the great Sikh martyr at the GT Road bypass, near the site of the proposed Gateway of India. The assurances given by Mr Parkash Singh Badal during his tenure as chief minister have not materialised. World War II vehicles plying on Amritsar roads? This may sound unbelievable but it is true. Perhaps nowhere in the world except in a few third world countries like India would one find vehicles used in battlefields during World War II plying on city roads. The "dodge" is one such American vehicle that plies on the city roads. The stand-off between the district administration and merchants at the new Sabzi Mandi at Vallah continues. Reason: the allotment of shops by the former to the latter in an area that falls under army's "prohibitory orders". Mr Nirpal Singh Shergill, an international freelance Punjabi journalist based in the UK, has produced a reference book "Indians Abroad and Punjab Impact", about the spread of Sikhism and the Sikhs across the globe. According to the Sikh intelligentsia, the book was a laudable effort by an individual and it should have been written much earlier by the Sikh organisations like the Shiromani Gurdwara Prabandhak Committee or the Delhi Gurdwara Prabandhak Committee. The Masters' Academy of Roller Skating has produced more than 1000 players, including twelve national and hundreds of state-level players, in just four years of its existence. 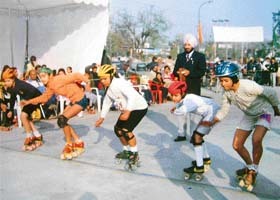 The academy has been clinching the highest number of medals in the Punjab State Roller Skating Championship for the past four years. Two players of the academy have become the champions in the CBSE nationals. It was the exploitation of models that had the winner of 1999 Mr Punjab, Super Model and Top Model titles, Mr Puneet Krishan Joshi, open a modelling agency. The idea was to protect the rights of new entrants, gullible in their haste to enter the tinsel world of modelling. The Department of Horticulture, J&K Government, participated in the lifestyle exhibition that concluded here on February 14. The exhibition started on February 11. The department, in a press statement, said that it displayed horticulture produce of J&K during the exhibition. Sixteen couples from the poorest of the poor segment of the society tied the nuptial knot at a mass marriage ceremony organised by the Rotary Club Amritsar Midtown at SL Bhawans School recently. Preet Nagar, the “locality of love and friendship”, which used to be the hub of renowned Punjabi, Hindi and Urdu writers, artistes during the pre-Partition days has fallen on bad days. The place, a visit to which was pilgrimage for many, now wears a desolate look. The story of Preet Nagar is the tale of how the progressive ethos and culture of the Punjabi literary sensibility was shaped and nurtured during the cultural renaissance, before the Partition. The township was a showcase of the composite Indian culture, which encouraged community living and established its own brand of philosophy that produced many writers, poets and artistes. These culture pioneers set a new trend among the contemporary Indian intellectuals and this trend was bereft of the British influence. Most of the majestic buildings have fallen apart. 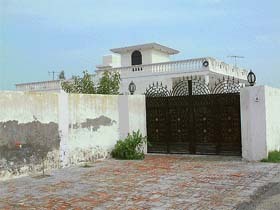 The majestic residence of the great film actor and Punjabi writer Balraj Sahni has been replaced with a modern house. There is no trace of the Langar Hall (community kitchen), where residents of Preet Nagar would partake of the common food. During the good old days, no separate kitchen was run in any of the house in this unique township. Womenfolk of Preet Nagar would perform kitchen duties by turn. The common dairy building has also disappeared. The residence of great artiste Sobha Singh, which was one of the first eight houses, is in shambles. 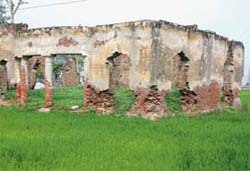 The building of Aramgah (resting place) of Noor Jahan, which later housed printing press, is in a dilapidated condition. The house Diwan Singh, father of Lt Gen Jagjit Singh Arora (of Bangladesh war fame), too, has disappeared. The major portion of the Activity School, a world famous residential school where students from different countries used to study, has been pulled down. However, a few houses, which have been preserved in original shape, include the residences of the novelist Nanak Singh and two big houses owned by the family of Preetlari. It was the USA-returned civil engineer, Mr Gurbax Singh, who had established the township that was at equidistance between Amritsar and Lahore. Gurbax Singh Preetlari, through his personal charisma, brought people like Bhisham Sahni, Balraj Sahni, Nanak Singh, celebrity artiste Sobha Singh and father of Lt Gen Jagjit Singh Arora of Bangladesh war fame, apart from associating Faiz Ahmad Faiz, Sahir Ludhianvi Upendra Nath Ashq and Kartar Singh Duggal, playwright Balwant Gargi, poets Mohan Singh, Sahir Ludhianvi and Amrita Pritam — the best talent of the time — with Preet Nagar. The cultural activities in Preet Nagar, revolutionary in nature, shook the British Government and many actors, including the daughters of Gurbax Singh, were picked up by the police and put behind the bars for staging revolutionary plays. Gurbax Singh could visualise the shattering of his dream during his own life. The first blow to this model village, which Gurbax Singh wanted to develop into another Shantiniketan, came when the country was partitioned in 1947. Another setback came when the border township witnessed the ugly days of terrorism. Sumeet, grandson of Gurbax Singh, and young editor of Preetlari was gunned down in February 1984 when he was only 30. His widow Poonam took over the responsibility of editing the magazine. Two more attacks were engineered on the Preetlari family, including that on Hirdaypal Singh, the then-Editor of Bal Sandesh and younger son of Gurbax Singh by militants. Gurbax Singh started Preetlari in 1933. The motto of Preetlari which reads Kise dil sanjhe di dharkan, kise preet-geet di lay ,pate Preetlari de dassan, jis vich proti sabho shai(A common heartbeat of so many, the symphony of a love-lyric, with everything in it). Dhani Ram Chatrak, a famous Punjabi poet, was instrumental in getting Gurbax Singh a large tract of land at a reasonable price near Amritsar. According to Mr Hirdaypal Singh, the land was bought at one paisa per acre. Sadly, Preet Nagar now belongs to the haze of history. However, the South Asian Foundation (SAF), and Mr Madanjit Singh, a goodwill ambassador to UNESCO and contemporary of Gurbax Singh Preetlari, the founder of Preet Nagar, have endeavored to revive the intellectual spirit of Preet Nagar. While recalling his association with Preet Nagar, he said that Preet Nagar was in focus for being the melting pot of Punjabi, Hindi and Urdu writers and poets. They lived together here as a homogeneous group. They discussed the influence of Sufi saints, the teachings of the Sikh gurus and others in the peaceful environment. He said the selection of Preet Nagar came naturally to him. Recently, the daughter of the famous Urdu poet Faiz Ahmad Faiz, Prof Salima Hashmi, and her husband, Shoaib Hashmi, besides a renowned theatre promoter, Madiha Gohar from Lahore, and a Pakistani group of Sufi singers, Niazi brothers participated in the nightlong celebrations to celebrate Madanjit Singh’s 80th birthday. Professor Hashmi said though she had never been to Preet Nagar, her father had often talked about his experiences of this place. Articulating her views on the present state of Indo-Pak relations, she said the time had come for these man-made boundaries to disappear, so that people from the two countries could once again interact at an intellectual level. She said it was like a homecoming for her. Madiha Gohar said she would soon produce a play on the lives of people closely associated with Preet Nagar. “The play would depict the depth of our composite culture, which has withstood the trauma of the Partition and the hatred between the two nations,” she added. 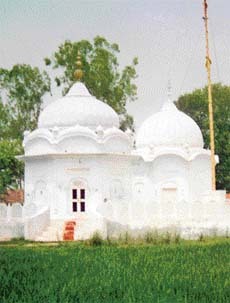 The village of Atari, situated just two km from the Indo-Pak border, is the birthplace of the great warrior, who was a celebrated general in Maharaja Ranjit Singh's army. The village has only one memorial built by the General Sham Singh Atariwala Trust. This memorial was built about 159 years ago and has been maintained by the trust since then. The trust has been celebrating his martyrdom day every year on February 10 at the memorial situated at the entrance of the village. The general had attained martyrdom in 1846, while fighting bravely against the British Army. His body was brought to his native village. The daughter of General Sham Singh Atari was married to Crown Prince Kanwar Naonihal Singh, grandson of Maharaja Ranjit Singh. After the defeat of the Sikh Army at Aliwal, Mudki and Ferozesha in 1845, the British Forces were planning to advance and capture Lahore, the capital of the Khalsa Raj. Maharaja had died and Maharani Jidan was running the Lahore Darbar. Maharani sent a message to Sardar Sham Singh and pleaded with him to stop the advancing British Army and the invasion of Lahore by the British forces. 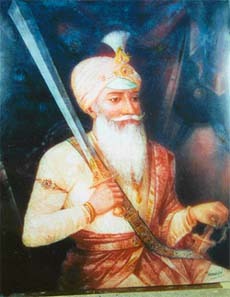 The General took control of the Khalsa Army and led them to the Battle of Sabraon against the British. He inspired the Sikh Army to fight and defeat the nefarious plans of the British. A bloody battle was fought by the Sikh troops on the banks of the Sutlej River near Sabraon on February 10. However, the traitors within the Lahore Darbar leaked the operational plans of the Sikh Army to the British commanders. But General Sham Singh, without caring for the consequences, himself led the last attack and fought gallantly till he fell from his horse and died with seven bullets in his chest. He sacrificed his life for the sake of the country's freedom. Sadly, his sacrifice is being ignored today. World War II vehicles plying on Amritsar roads? This may sound unbelievable but it is true. Perhaps nowhere in the world except in a few third world countries like India would one find vehicles used in battlefields during World War II plying on city roads. The "dodge" is one such American vehicle that plies on the city roads. It has continued to run even after more than half a century of its manufacture by Daimler Chrysler AG, one of the world's largest commercial vehicle manufacturers. The "dodge" vehicles off-loaded into the third world countries for military use were initially used by army. After being condemned, they found their way into the hands of junk dealers, who sold them to local people, especially in border areas. Fortified with Mercedes Benz engines, the vehicles were modified to seat at least 30 persons with the help of indigenous wooden chassis. These vehicles, now more than half a century old, are also found at Lahore in Pakistan. 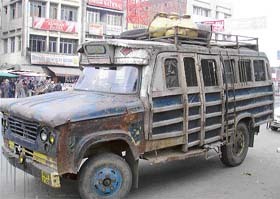 Plying on various routes from Amritsar railway station, bus stand and other areas to remote border and other villages, these vehicles, most of which are driven illegally, are a source of air pollution. The vehicle can carry anything from large brass milk containers to animals. Interestingly, some of these vehicles were used in Gadar film shot in Amritsar. Several vehicles were coloured green to picturise Pakistani bazaar scenes, while others were left blue to show the Indian side in the movie. Only five or six "dodges" ply from railway station to Attari, says Pali, a dodge-driver. Most of the "dodges" cater to places like Majitha, Attari township on the border, Daburjee, Jandiala and en route villages. According to Gopal Singh (65), a hotelier who, along with his parents, crossed from Pakistan's Lyallpur district Chak-47 to Amritsar during the Partition, the Pakistani dodge-drivers made their vehicles much more attractive with paintings and Urdu writings in myriad colours. "The front almost looks like a showpiece", he laughs. Dodge-driving, doubtless, is providing employment to many youngsters, reveal sources. Sonu, a school dropout, said it was better to do dodge-driving than indulge in drug and alcohol abuse. He rued that the government had stopped issuing them permits after the 1980s when mini buses became operational. He admitted that dodge-drivers paid about Rs 100 per month to police to let them drive "dodges". He revealed that they earned about Rs 100 daily on an average. Mr Bhupinder Singh, District Transport Officer, when contacted, said they were impounding "dodges" and "gharokas" (indigenous trucks) almost everyday. About the number of challans filed, he said he could not give exact figures. He added that after impounding these vehicles, the SHOs concerned were directed to dismantle them to stall their further use. Meanwhile, according to sources, these vehicles were also used to supply arms in small quantities during the heydays of terrorism. Later, drugs like opium also found an easy route to cities through these vehicles, say sources. The area falls in the 1000 mt zone of an ammunition dump. The defence act of 1903 bans any construction in the restricted area. This renders all constructions there "illegal". The old Sabzi Mandi in the heart of the city near the Hall Gate that existed since the pre-Partition times has had its share of controversy. However, several court cases later, the Punjab and Haryana High Court finally passed orders about its shifting to the outskirts. It took nearly 32 years for its final shifting. However, having enjoyed the monopoly in the old mandi, many traders and wholesalers, who reportedly evaded tax to the tune of crores of rupees for the last many years, opposed the shifting. A bold step of demolition collectively initiated by the district administration, the municipal corporation and the police finally led to its partial shifting in June last year. 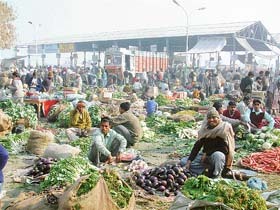 Despite opposition by the Fruit and Vegetable Merchants' Union over allotment of plots in the prohibited area, many in the area shifted to the new mandi. The administration further clamped restrictions on incoming vehicles supplying perishable commodities at the old mandi. This forced many merchants and vendors to accept the government's orders about shifting. The Merchants' Union, under its general secretary, Mr Harish Taneja, has demanded that the district administration let them register their plots and execute sales deeds. The Deputy Commissioner, Mr Kirandeep Bhuller, could not be contacted despite repeated attempts. Meanwhile, the union, in a detailed note, has mentioned various proceedings followed by army since 2003 over the issue of the ban as per the army records. According to the union, the army approached the DC for action in connection with failure to conform to the prohibitory orders in October 2003. Several meetings between the army and the administration over the issue continued till the end of the last year. An Inspection of the unauthorised construction was conducted in July 2004, the union claims. However, no clear-cut compromise has been arrived at, says the union. This renders all their plots and constructions as "illegal", it rues. This has put the administration in a spot. The administration is also facing accusations of laxity in implementing its promises. While water and power supply is insufficient in the new mandi, the sewerage and garbage disposal also leaves much to be desired. Promises of banking services, street lights, police posts and the building of an over bridge over railway crossing also remain unfulfilled. 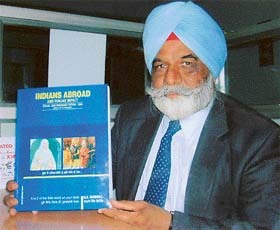 Mr Nirpal Singh Shergill, an international freelance Punjabi journalist based in the UK, has produced a reference book "Indians Abroad and Punjab Impact", about the spread of Sikhism and the Sikhs across the globe. According to the Sikh intelligentsia, the book was a laudable effort by an individual and it should have been written much earlier by the Sikh organisations like the Shiromani Gurdwara Prabandhak Committee (SGPC) or the Delhi Gurdwara Prabandhak Committee. Mr Shergill was here to participate in the International Seminar on "20th Century Immigration and Immigrant Literature" held at Guru Nanak Dev University recently. Mr Shergill, born and brought up in Majal Khurd village of Patiala, went to Britain and settled there. However, he later returned to India. With the help of his writings, he has been working as a bridge between the Punjabis living abroad and in India. His writings bring out the problems being faced by the Punjabis settled overseas, including the racial discrimination against Sikhs by whites. Besides, he also delineates the growing influence of the Indian culture in England, Canada and the USA. His efforts have brought into focus the Sikh history beginning from religious journey of Guru Nanak Dev to Baghdad to the post-independent migration of the Sikhs looking for greener pastures. This special issue of the reference book was dedicated to the three hundred years of martyrdom of the four Sahibzadas and mother of Guru Gobind Singh. Mr Parkash Singh Badal, former Chief Minister, released the book at Fatehgarh Sahib during the celebrations. The book also has writings about increasing influence of the Indian culture in Britain, development of Sikh religion and the major events in the Sikh history. Talking to this correspondent, Mr Shergill said that about 28 lakh Punjabis were living abroad. His motive was to express their feelings through his pen. He said they were coping with numerous problems and at the same time were keen to know about the developments taking place in India. "I am working as a journalist in the true sense of the word. I frequently travel to various places, where a sizeable population of Punjabis is residing, to have the firsthand information," he said. He added that the book had been made available all over the world in Punjabi and English languages. He said it contained the addresses of 2000 gurdwaras - historical as well as newly-constructed. It also contained articles about 500 established Sikhs and life-sketches of 150 renowned Punjabis. Ms Harmeen Kaur Soch, lecturer, Department of Commerce and Business Management, won the "MN Gopalan Thesis Award" for the "Best PhD Thesis" at the 37th annual convention of the Operational Research Society of India (ORSI), Ahmedabad Chapter. The convention was held at the Indian Institute of Management Ahmedabad (IIMA) recently. Her thesis was guided and supervised by Dr H.S. Sandhu, a professor in the Department of Commerce and Business Management, Guru Nanak Dev University. The prestigious award has been instituted by Prof M.N. Gopalan, Department of Mathematics, IIT, Mumbai, to encourage young researchers. Ms Soch's thesis is in the area of marketing. It is titled "Impact of customer relationship management (CRM) on the financial performance of companies in India". The jury, comprising V. Venkata Rao (IIMA), Diptesh Ghosh (IIMA), Janat Shah (IIM, Bangalore) and others, selected the thesis for the award. The work of this lecturer was also appreciated in an international conference on "Marketing paradigms in emerging economies" that followed the annual convention held at the IIMA. She presented the case study on the ITC Limited and its recent forays into foods business in India. Over 250 researchers and academicians attended the conference from all over the world, including the US and the UK. Earlier in 2003, Ms Soch, in a technical session on the "The quality of management education in India" conducted by Punjab University Business School, Chandigarh, spoke on management techniques through human interactions. Her paper that stressed on "role-play" and "teacher-taught involvement" was appreciated during the session. The Masters' Academy of Roller Skating has produced more than 1000 players, including twelve national and hundreds of state-level players, in just four years of its existence. The academy has been clinching the highest number of medals in the Punjab State Roller Skating Championship (PSRSC) for the past four years. In its first year of participation (2001), the academy secured 38 medals, including 13 gold and 15 silver medals. In 2002, it maintained the same tally and the next year (2003), it claimed 19 gold, 10 silver and 10 bronze medals. Maintaining impressive performance in the fourth year of participation, players of the academy brought 14 gold, three silver and six bronze medals last year. Director of the academy, Mr Jaspal Singh, said they were imparting training to players in open space opposite the main gate of Guru Nanak Dev University. He said even in the absence of proper infrastructure, the results had been encouraging. He informed that the academy had about 250 players from two years to 16 years of age on its rolls presently. He said the game had received a boost since its incorporation in the gradation list. Two players of the academy had become the champions in the CBSE nationals. Karamika remained the champion in the Roller Skating for two years from 2002 to 2004, while Chakshu Jain clinched the gold medal in 2003. Another player Kanwar Yuvraj Singh wrested the bronze medal in the National School Games, 2003. Iqbal Singh, Avdeep Singh, Avneet Singh Harsh and Swatantra have been consistently bringing medals in the last two editions of the Open National Roller Skating Championship. The academy is the brainchild of Jaspal Singh. A sports enthusiast, he has a passion to promote sports. He is also the organising secretary of the Roller Skating Association. Vijay Kumar, a former national player, is the coach at the academy. He is of the view that there is no dearth of talent in the city. However, there is a need to channelise this talent. "Now more and more parents are willing to let their wards join the game," he adds. He had some unsavoury experiences in the show business, which transformed his way of thinking. His resolve was to arm young boys and girls with the right awareness about the modelling field and enthuse confidence in them. His own bitter experiences motivated him to teach aspiring models about their rights. The beginners are hardly paid anything and organisers exploit them by promising them that subsequently they would be able to earn more, says this model-turned-teacher. He opened his own modelling agency in the year 2000 and started imparting free-of-cost training to the aspirants. 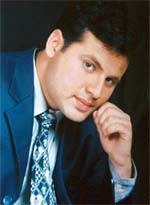 Besides providing training in personality development, he also gave tips to inexperienced models on protecting themselves from exploitation. A law student, Puneet is also an actor and has performed in several Punjabi plays. He gave screen test for a play in 1998, when he was still in school. He is now into video directing. "It is unprofessional approach that has wrecked havoc with professions like modelling. A lot of rot has crept into music videos, too. But I am sure if aspiring models are aware of their rights, much of the problem would be solved. Vulgar videos have a short shelf life," he says. Various varieties of apples and other fruits, varieties of dry fruits were displayed. Mr Charan Kamal Singh, marketing inspector of the department said the people had urged them to open an outlet for the produce. Ms Lakshmi Kanta Chawla, Vice-President, State BJP, in a press statement, has demanded from the Punjab Chief Minister, Capt Amarinder Singh, the transfer of "tainted" police officers. She said these "tainted" officers were "spoiling" the image of the police. Following persons were elected as the office-bearers of the NIRC Amritsar branch of the Institute of Charted Accountants of India in an election held on February 12 under the chairmanship of Mr Rajan Kumar. While Mr Sandeep Chopra was elected as chairman and Mr Mukesh Garg as vice-chairman, Mr Anil Khanna and Mr Gaurav Arora were nominated as secretary and treasurer, respectively. The festival of Basant Panchmi was celebrated with great fervour at Shehzada Nand College here on February 12. Prof Darbari Lal, Deputy Speaker, Punjab Vidhan Sabha, was the chief guest on the occasion. Professor Lal, who presided over the function, felicitated the members of the management, staff and students during the function. The students presented various items like songs, dances and giddha. The chief organiser of the ceremony, Mr Sunil Kapur, said that this annual feature of organising wedding had been taken up by the club during 1999 and in the last six years, 101 marriages had been solemnised. The marriages, complete with all ceremonies, including milnies, exchange of shagan, gifts, varmala and anand karaj, took place according to religious rites desired by couples, he added.